SAGIT is a fully configurable group tractography platform, that automates group tractography seeding, filtering, and template generation. 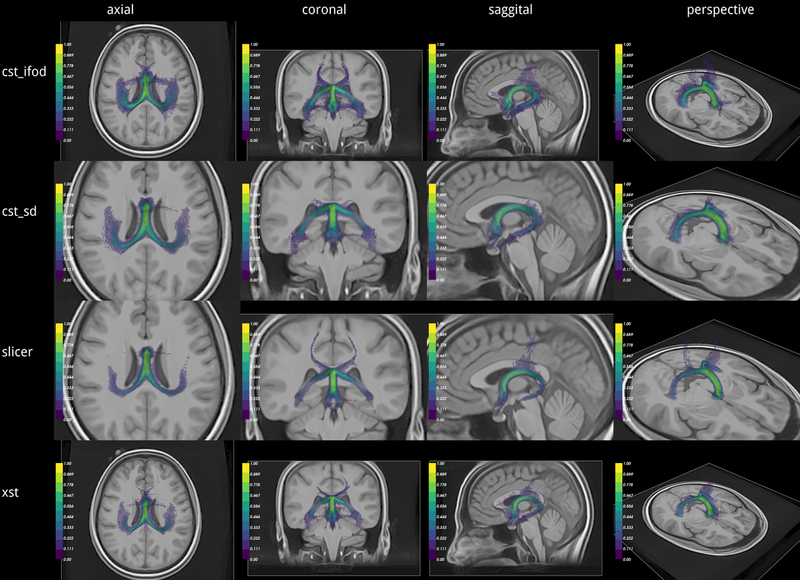 With SAGIT,comparative studies of group differences using diffusion tractography becomes possible. 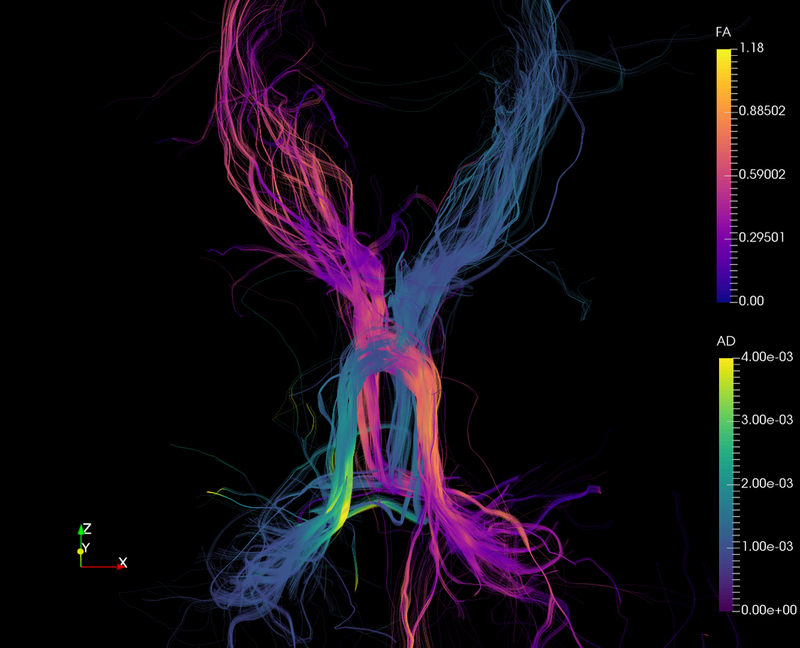 Merged bilateral rubrocerebellar tracts of 42 subjects, using constrained spherical deconvolution tractography.